Popular mobile blog Android and Me has pinpointed next month for the launch of the new device and, more interestingly, also claimed that the new Nexus handset will be used by Google as a platform to launch a new version of Android, likely numbered 4.2. Well my birthday also comes in November Anyway, Android and Me has obtained its information from a "regular source who has provided accurate information in the past." 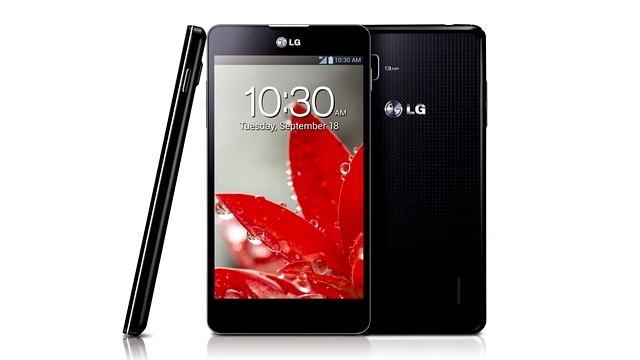 The Optimus G Nexus will be a tweaked version of the Optimus G (pictured, top) smartphone, unveiled by LG last month. That device arrived pre-loaded with Android 4.0 Ice Cream Sandwich, but speculation is now rife that one of the primary changes to the new, Nexus-branded handset will be its showcasing of a new Google mobile OS. Indeed, further reports indicate that the new device won't just feature an incremental Android upgrade, but will also be compatible with Google's next big mobile OS leap: Android 5.0, thought to have been dubbed Key Lime Pie, which is being tipped for an autumn-2013 launch. There's no word of what clever confectionery-related code name version 4.2 might get – personally, we'd like to see a bit of a nod to Android's UK fanbase via a playful moniker like Rice Pudding, Treacle Tart or even Deep Fried Mars Bar. Realistically, though, given Google's US heritage, it's likely to be closer to Marshmallow, Gummy Bear, or even – given its arrival at the beginning of the festive season - Candy Cane. In terms of spec, the Optimus G Nexus is likely to closely resemble the LG Optimus G. That device is a true powerhouse smartphone, featuring a 4.7in display with a resolution of 1280 x 768 pixels at 317 PPI. It alos sports an impressive quad-core Qualcomm Snapdragon S4 processor in the engine room, and boasts one of the most impressive smartphone cameras on the market, coming equipped with a 13-megapixel primary snapper.